My son loves hot chips. Like some sort of a fiend. It’s a mixed feeling for me – I love watching him enjoy a food so much, but I feel like a dingaling for letting him eat deep-fried food often. To avoid the angst, I make these, and he loves them so much he shovels them in like a little piglet. I have started slicing them thinner so he doesn’t accidentally plug up his little trachea. He needs that thing to live. 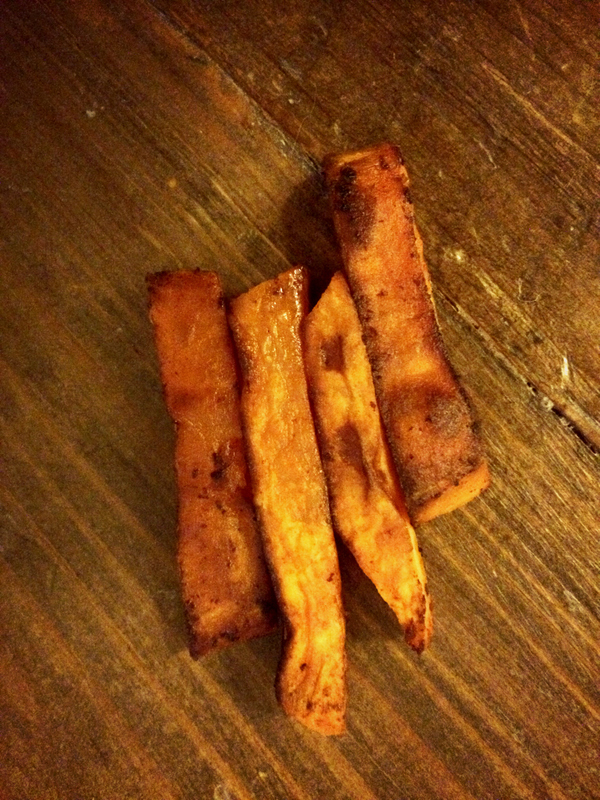 Sweet Potato Ripper Chips: I heart you! This entry was posted in Uncategorized and tagged healthy chips, kids vegetables, sweet potato chips, toddler vegetables. Bookmark the permalink.